There was a meeting of the newly reincarnated Bay Area WordPress Meetup on Sunday at Chaat Cafe in San Francisco. This meetup formerly went by the name of San Francisco WordPress Meetup. Being a resident of Oakland, I prefer the new name, even though the meeting was still in SF. I really enjoyed the meetup and met some nice folks. First, I would like to thank Jennifer Burke who runs the wonderful Healdsburg Magazine website (powered by WordPress of course!). Jennifer is the person who started both incarnations of the meetup. She has much experience with WordPress, as well as expertise in web content writing, information architecture, and SEO analysis. The other attendees were newer to WordPress. Every person at the meeting was running and/or working on one or more interesting WordPress sites. Bill is building a site for his son containing his own stories with illustrations and paintings done by his son. I haven’t had time to read any stories yet, but the art work alone is worth a visit to the site. At the meeting, I worked with him to change some of the graphics in his template. 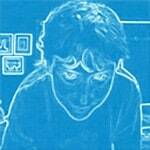 Chris works at the Metta Center and has just started a blog for wanderers. Being an aimless wanderer myself, I am curious to see how the more focused wanderers of the world go about their wandering. My favorite WordPress site of the meetup is being created by Gavin. It is called Kitty Single and its purpose is to find good homes for cats and kittens that do not have them. The goal is to present reasonably high quality videos of cats and kittens for adoption and foster. The next meetup will be during WordCamp 2008 in San Francisco. Details for wordcamp are not available yet, but we started a twitter account for the meetup so that we will be able to keep each other informed and make a plan. 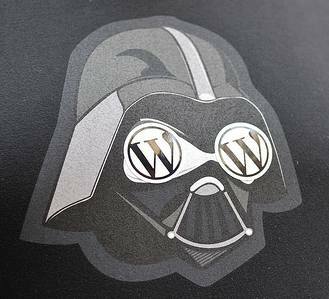 What plug-ins work for your WordPress site? Which ones do you install — right off the bat? Which ones have you found to help you add functionality to your website? If you are interested in wordpress and live in the bay area, come join us! Sometimes, I get bad pain and weakness in my hands. It is some combination of arthritis, carpal tunnel, and overuse. Yesterday, it got worse than it has been in a very long time. I spent most of the day photoshopping and coding (aka typing). I also did karate, which I am sure did not help. Last night, my right hand was stuck in a claw, and this morning I could barely use my mouse at all. 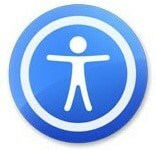 I turned on a couple of the accessibility features that are part of OS X (mac operating system). First, I turned on ‘mouse keys’. This is an amazing feature which allows you to do everything you can with a mouse using the number pad. You can not use the numpad for numbers when it is turned on. I could move the cursor in every direction, click things, drag or resize windows, etc. I also turned on speech recognition, which allows you to speak commands instead of clicking on them. I could open or close windows and programs, switch between them, save things, copy and paste, navigate menu items, get new mail, and even go back and forward in my browser. While I was not brave enough to try Photoshop, I managed to work for most of the day using my voice and left hand for everything except typing. I suppose I could have typed lefty too, but since it wasn’t so bad with a wrist brace on, I decided against it. I think much too fast to type slowly. It was really great that in just a few minutes, I could find an alternative way to use my computer. Unfortunately, I don’t think I can play warcrack without my right hand. Completely unrelated random mac fact: While I was writing this, I opened the apple dictionary to find out how to spell carpal tunnel and discovered that a Wikipedia search and Apple technical terms dictionary have been added to the standard dictionary and thesaurus. Wikipedia searches stay inside the dictionary window. Nice. I also noticed that the app has become very wiki-like in the way that every printed word is linked to its entry in the dictionary. The links are not obvious until you hover over them which is also very nice. Hard to image reading a dictionary covered in bright blue underlined words!